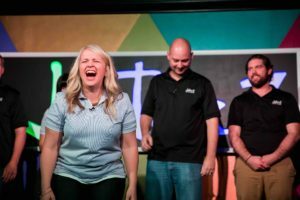 Below is a list of fundamental principles of improv… while improvisors tend to make improv much more complicated then it needs to be, it is always a good idea to go back to the basics. 1. Listen – As simple as this seems, it is probably one of the most difficult skills to master. Listening will free you from having to think of what you are going to say a head of time. 2. Agreement (Yes, And…) – Assuming you have listened, you will be able to agree with what was said AND add information. Agreement is what allows a scene to progress! 3. Team Work (Group Mind) – Improv is a vast mechanism of give and take and support. The group mind is greater then the individual. 4. Don’t Block – One of the quickest ways to destroy group mind is by blocking other players, going for the joke or not listening. 5. Relationship – The scene is always about the relationship, not things or what you are doing. Make the scene focus on the relationship. 6. Initiation – This is the Who, What and Where of the scene… establishing the Who, What and Where of the scene is essential to having a great scene. 7. Point of View, Opinion & Intention – Enter a scene with a point of view, opinion or intention… let these drive your character and response. 8. Be in Character – Maintain your character throughout the scene. Be the character to the top of its intelligence. 9. Don’t Ask Questions – Questions your scene partner to do all the work. Make assumptions and turn questions into statements. 10. Make Active Choices – Do something, don’t be a talking head. Do something but don’t make the scene about that something. 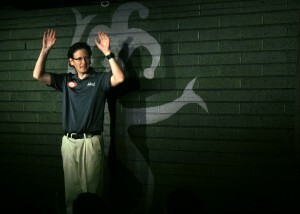 For information on Jester’z Improv Training visit here.